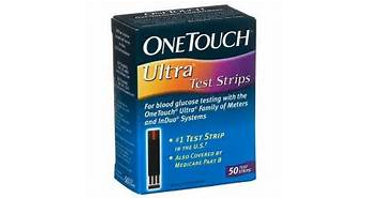 OneTouch Ultra Test Strips has a FastDraw design which makes blood glucose testing fast and easy. For best results, use the One Touch Ultra test strips for blood glucose testing with OneTouch Ultra, One Touch Ultra 2, OneTouch Ultra Smart and OneTouch UltraMini brand Blood Glucose Meter and InDuo Systems. The OneTouch blood glucose meters and One Touch Ultra test strips are able to accommodate alternative site testing.